I’ve made quite a few homemade brownies. Some out of convenience like this one. But these are awesome. 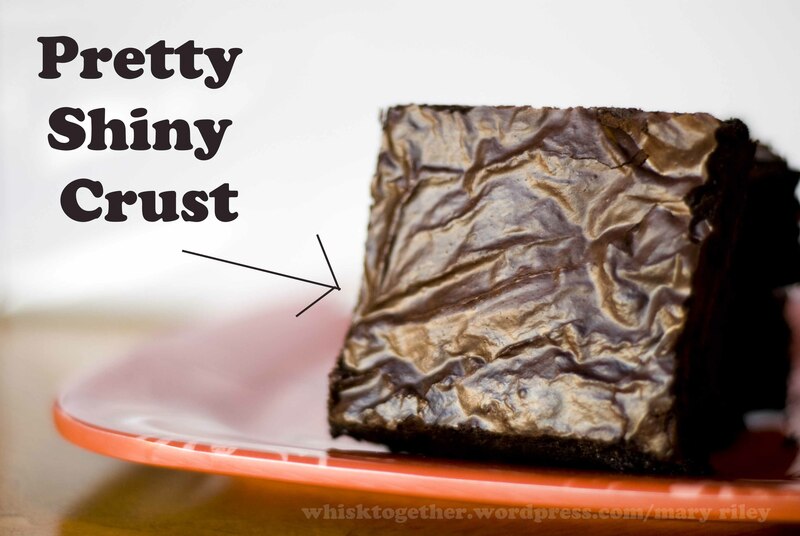 And the added bonus is the shiny crust that you don’t see as often in homemade brownies (which might be why the homemade versions get frosting?). Well, anyway I’ve noticed that at potluck and things if the people don’t know what it is – no matter how good it tastes – they won’t eat it. The salty caramel brownies sat and sat while the box mix brownies get devoured. Because no one knows they are salty caramel brownies. But that’s another blog post…. My only disappointment is that I didn’t get a great photo of these. The winter sun was not cooperating and the dark brownie acted like a black hole absorbing all my light. For now, here is the recipe and exactly what I used to make the best brownies. They are about 1″ thick and fudgey. I would highly suggest eating them the same day after they have completely cooled. So make these in the morning. If you have leftovers, keep them closely wrapped tight. I know normally you can just throw stuff in tupperware and it’ll be fine. But these were sealed in a pyrex dish not closely wrapped and they were really dry the next day. Many homemade brownie recipes state up to 3 days and make sure they are wrapped tight. These are so thick and fudgey, you could even take small cookie cutters and make shapes. Store the leftover scraps in the freezer to decorate the outside of a cake or use as ice cream topping. *Dutch process cocoa is not at many megastores, so I used Hershey’s Dark Chocolate Cocoa which contains a blend of Dutch and Natural cocoa. There seems to be enough dutch cocoa in there for the result not to taste bitter. If you use regular natural cocoa, the results could taste bitter. **You do not taste the espresso powder at all. It just increases the chocolate flavor just like vanilla extract does in chocolate recipes. 1. Preheat oven to 350 degrees. 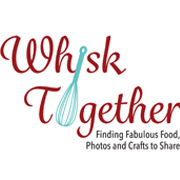 Line a 9×13 pan with parchment paper or spray with cooking spray or Baker’s Joy. 3. In a separate big bowl, beat the eggs. Stir in the cocoa, salt, baking powder, espresso powder and vanilla. It will thick, but beat until it is smooth. 4. Stir the hot butter/sugar into the cocoa/egg mixture. Keep stirring until smooth. 5. If you want chunks of chocolate chips, wait 20 minutes here. If you want smooth, then add your chocolate chips immediately at this point and stir and stir until melted in. 6. Add flour slowly and fold in. You are kind of making muffins here – folding the flour into the mixture in order to avoid creating gluten. Flour should be almost completely folded in with maybe a speck or two of flour in the batter. 7. Pour the batter into the pan. Bake for 30-45 minutes. Two recipes I saw said 30 minutes. But every time I made these, they took closer to 40 minutes. Toothpick should be clean with a few crumbs. 8. Cool on a wire rack. It is hard, but they do taste better once they have cooled off completely. Serve with ice cream, powdered sugar or nothing. 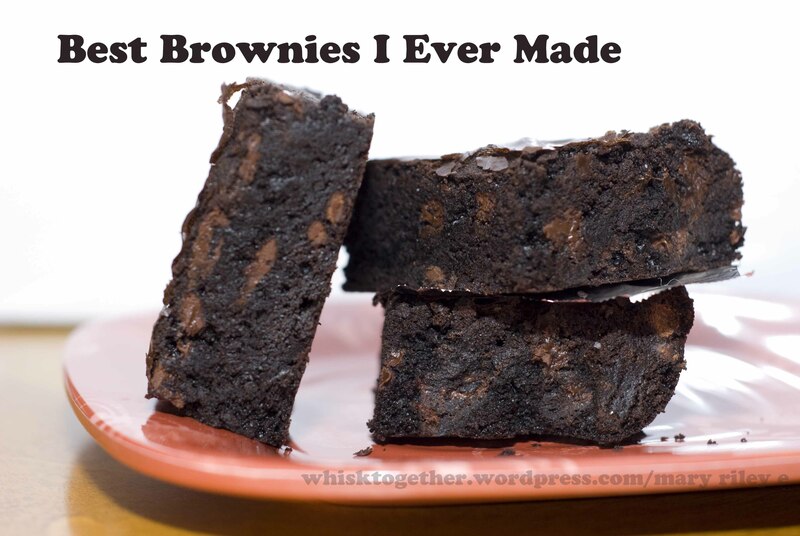 These brownies certainly look very delicious, the kind I can never resist!